I love the idea of a first birthday infographic, it really is a beautiful way to document your babys first year in short review! 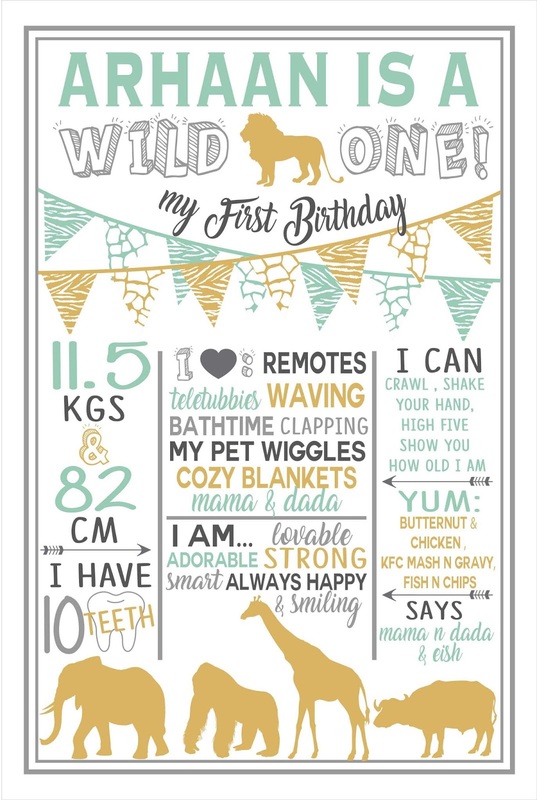 This first birthday infographic showcases your child in an all about me poster that will add the finishing touch to any first birthday party or photo shoot. It is such a great way to remember all of your child's first year that might not make it into the baby book, such as knowing his total weight gain or height added. A unique birthday sign like this will outlast any birthday party; frame it and hang in a nursery, kid bedroom, or playroom as a keepsake of such an exciting year!